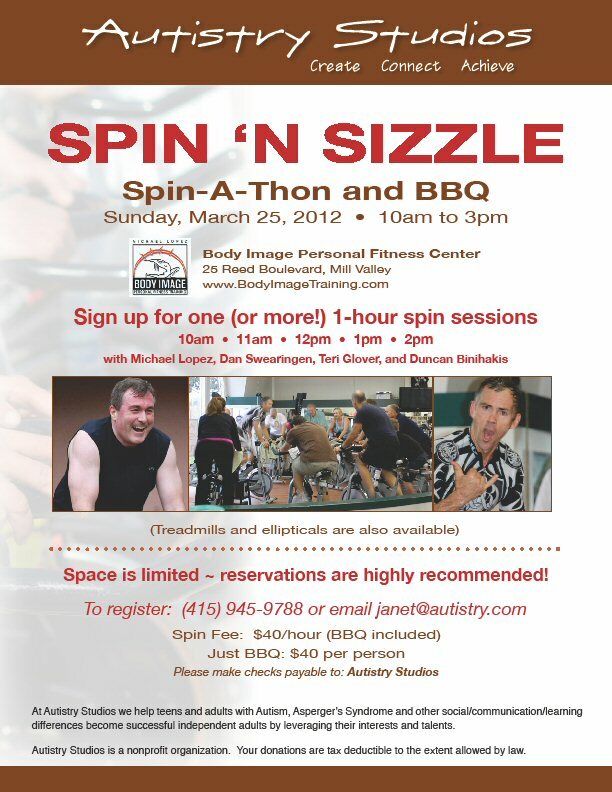 Autistry Studios » It’s Time for the Spin ‘n Sizzle! This entry was posted by Janet Lawson, MFT on Thursday, February 23rd, 2012 at 7:53 pm	and is filed under Diet & Exercise, Studio Newsletters. You can follow any responses to this entry through the RSS 2.0 feed. Both comments and pings are currently closed.